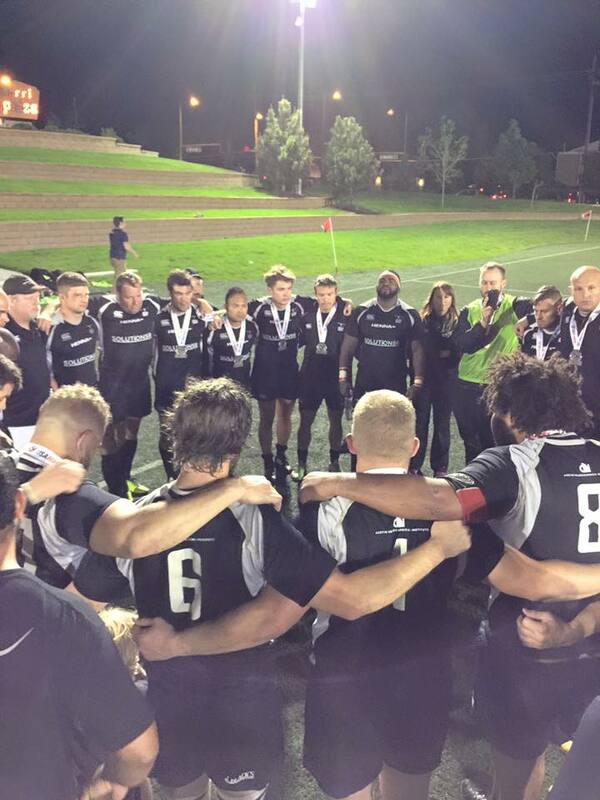 New York Athletic Club finished second in the inaugural American Rugby Premiership to Life University, but ended the season with hardware with a 44-39 defeat of Austin Blacks Saturday in the 2015 USA Rugby Emirates Airline Men’s Division I Club National Championship at Infinity Park. Timothy Howard, David Comerford, and Riekert Hatting scored tries to give the Blacks a 21-0 head start before the midway point in the opening frame, to which NYAC responded with two tries to bring the score to 21-14. A Patrick Sullivan penalty kick helped Austin’s cause before Kyle Granby added another try to NYAC’s account for a 27-24 lead to the east coast club at halftime. Austin held a 12-point lead at 34-27 going into the 64th minute, when NYAC closed the gap with an Alastair McFarland try. McFarland added another in the 71st minute to give NYAC a 41-39 lead, and Justin Hundley added the insurance marker with a penalty kick to bring the final score to 44-39. Men’s Eagles and NYAC scrum half Mike Petri was given the Men’s Division I Club Smith and Forge Hard Cider Most Valuable Player award in the victory, which marks their first championship for the club since the 2012 Rugby Super League triumph.